Pegasus lace is one of a range of yarns produced by Eden Cottage Yarn in Cumbria and available at The Yarn Cafe. It is a 100g lace weight yarn (870 yards or 796 metres) and is beautifully soft and silky. 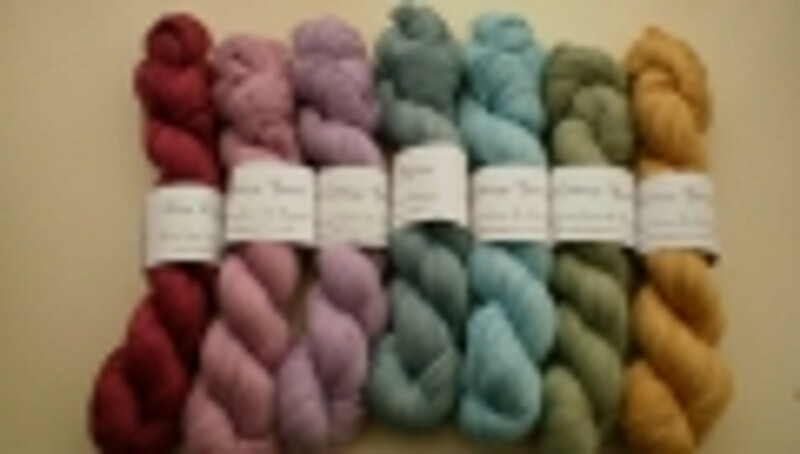 It consists of 70% Alpaca (from Suri Alpaca) and 30% silk and we have 8 glorious colours available.